Duane Slick is a Meskwaki painter and storyteller, whose visual work includes black-and-white photo-realist paintings on linen and glass. His work has been described as “dream paintings whose aim is the exploration of matters spiritual, not physical.” Born in Waterloo, IA, Slick earned his BFA in painting from the University of Northern Iowa and his MFA in painting from the University of California, Davis. He began teaching painting and printmaking at RISD in 1995 and has also lectured at colleges and universities across the US and taught at the Institute of American Indian Arts in Santa Fe, NM. His work has been exhibited widely – most recently at the Albert Merola Gallery in Provincetown, MA and at RK Projects in New York City – and is included in the collections of the National Museum of the American Indian in New York City, the Eiteljorg Museum in Indianapolis, and the De Cordova Museum in Lincoln, MA, among many others. Slick is currently represented by the Albert Merola Gallery in Provincetown. 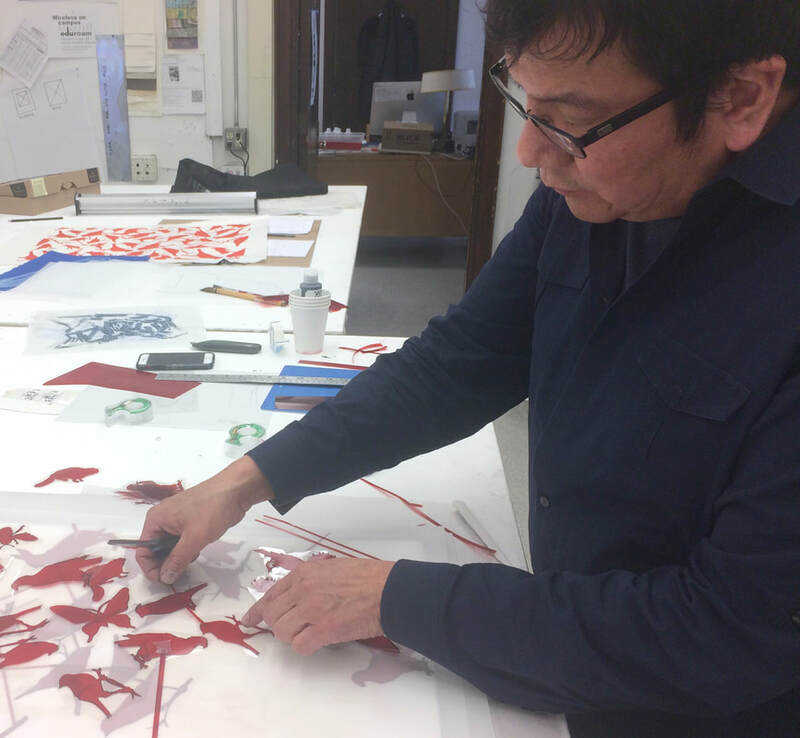 Duane was the fourth of four printmaking residencies that culminated in the 2018 exhibition at the Missoula Art Museum of works created at Matrix, surveying contemporary American Indian approaches to abstraction.